The Noblesville Chamber of Commerce and the League of Women Voters of Hamilton County are teaming up to present a three-part series of 'Candidate Conversations' featuring Noblesville mayoral candidates Vince Baker, Mike Corbett, Chris Jensen, and Julia Kozicki, prior to the primary election on May 7. These informal forums will be held in the Noblesville High School auditorium on the second Mondays during February-April (February 11, March 11 and April 8) from 6:30-8:00 p.m. Both the Noblesville Chamber and the League of Women Voters want Noblesville residents to let their voices be heard by submitting questions for the Candidate Conversations series via this form. Questions will be carefully selected for the Candidate Conversations based on content and time restraints. However, all questions will be shared with the candidates. 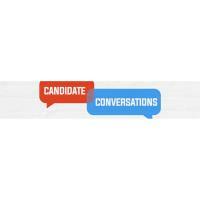 Candidate Conversations will offer a unique format, with specific topics being addressed at each event. On February 11, candidates will discuss issues that address Noblesville people and relationships, including issues of safety, health, education, housing, and workforce development. On March 11, the theme is Noblesville places and things, which includes infrastructure, parks, districts, environment, and destinations. Finally, on April 8, the three candidates will tackle the Noblesville economy and finances, including city budgets, capital improvement plans, and economic development. Both the Noblesville Chamber and the League of Women Voters hope Noblesville residents will leave the series of Candidate Conversations feeling better acquainted with each of the candidates and their platforms so that voters can make a well-informed decision in May.